I can’t help but smile sitting here listening to Simon and Garfunkle as I prepare this Comeback Sauce recipe. Next to jazz, I find it to be the ideal creative mood music. I suspect this is what blogging in the 1960’s was like. Except then I would be pecking at a typewriter, and every time I published a new recipe I would have to mail it to your house. The recipes all would be pretty bad too, because I would likely lose my taste buds licking that many envelopes. Oh well, at least the music would be good. Unlike Simon and Garfunkle, the flavors in Comeback Sauce get along well together, and the sauce won’t break up just as the flavors reach their peak. 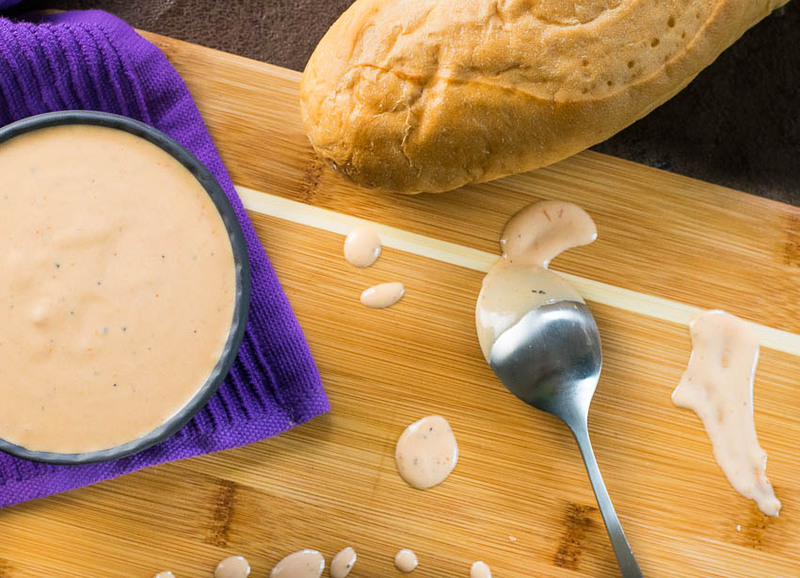 This creamy condiment has the smooth taste of mayo spiked with a punch of chili sauce, and an assortment of seasonings. The flavor first hits you as sweet before a bit of tanginess develops. This would be a fantastic sauce for topping a burger, shredded beef sandwich, or dipping French fries. 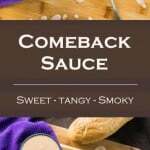 You would be forgiven if you have never heard of Comeback Sauce. It is a Mississippi staple, little known outside of the heart of Dixie. I had my eye on the recipe from SyrupAndBiscuits.com for a number of years because it was one of the first things I’ve ever pinned on Pinterest. You’ll still find the pin at the bottom of my “Food I Want to Make” board. This recipe perfectly fits in a pint jar for easy storage. Though having a couple condiment bottles on hand would certainly be convenient as well. Regardless of how you decide to store it, you will want it kept in the refrigerator. This page contains affiliate links. 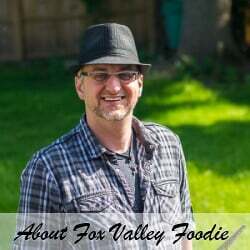 Any purchases made through these links helps support FoxValleyFoodie.com at no additional cost to you! Hey, exciting news! Fox Valley Foodie just teamed up with Coupons.com to give my readers free printable coupons with no signups required, or strings attached! Making this Comeback Sauce just got cheaper, check it out! 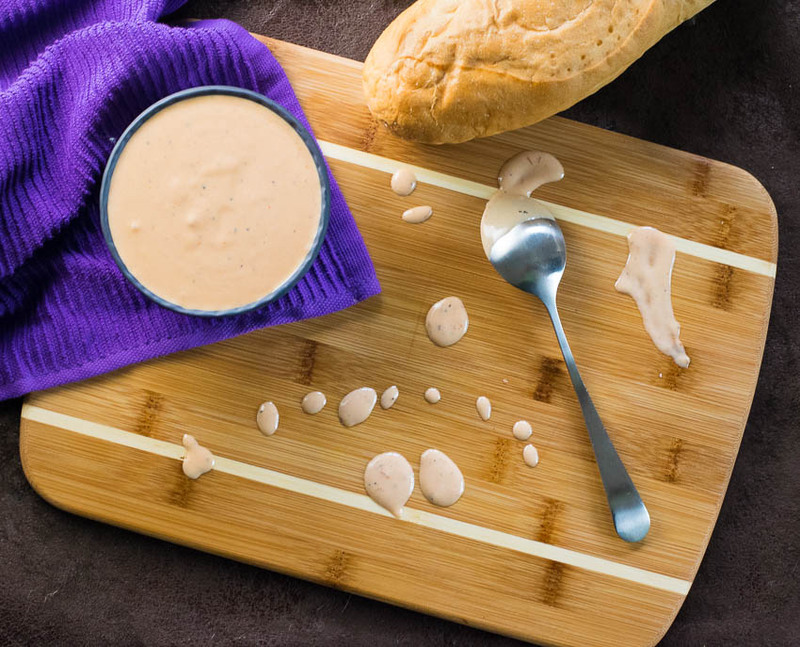 Comeback Sauce is a sweet and tangy Mississippi condiment that is perfect for topping sandwiches, adding to salads, or dipping fried foods! Add all ingredients to a bowl and mix to combine. Transfer to a pint jar and store in refrigerator. It can be used right away but flavors are best once it sits overnight. If you enjoyed my Comeback Sauce recipe then you should probably like me on Facebook and follow me on Pinterest too. That’s what I would do at least, because if you don’t get to know me but you still use my recipe it is kind of like taking candy from a stranger, and your mom taught you not to do that. Don’t disobey your mom, subscribe to Fox Valley Foodie today. Thank you. Sounds really nice.